A journal about dairy science has retracted a paper after learning that it was published without the consent of all its authors. An independent inquiry found no evidence of research misconduct, but nevertheless recommended that the institution — Curtin University in Perth, Australia — request to retract the paper. 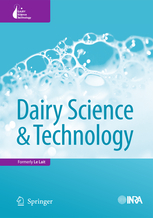 This article titled “Nucleation and growth rates of lactose as affected by ultrasound in aqueous solutions” and published in Volume 93, Issue 6, pages 595 – 604 has been retracted at the request of Curtin University resulting from an independent research misconduct inquiry conducted under the Australian Code for the Responsible Conduct of Research. Research misconduct was not found, however, the inquiry found that the paper was approved for final publication without the consent of all authors and recommended that the University request that the paper be retracted. The 2013 paper has been cited three times, according to Thomson Reuters Web of Science. Following a complaint regarding the paper published in Dairy Science and Technology, Curtin University conducted an independent research misconduct inquiry under the Australian Code for the Responsible Conduct of Research (the Code). The inquiry determined there was no evidence of research misconduct, however found section 5 of the Code had been breached as the paper was approved for final publication without the consent of all authors. As a general rule during the submission and reviewing process, the corresponding author is expected to inform all the co-authors when a paper is first submitted or resubmitted after revision. In the present case, some of the authors were not informed. That’s why an independent investigation was performed by Curtin University to deal with the resulting dispute. We reached out to all the study’s authors: Mohammad Zamanipoor, Tuna Dincer and Vijay Jayasena from Curtin University; and Bogdan Zisu, who is based at the RMIT University in Melbourne, Australia. We’ll update the post with anything else we learn. This problem could have been avoided if the journal had notified all co-authors that it had been submitted. A number of journals nowadays require email addresses for all named authors.